Sri Ponnada talks about how a collaborative project allows residents to discover local parks, and to take advantage of the various resources that the city of Seattle has to offer. 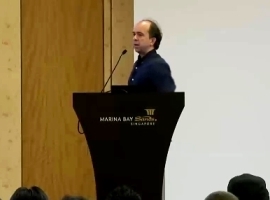 Nikola Bogdanov discusses the evolution of the interaction and adaptation of communication and the organizational agility in companies developing microservices. 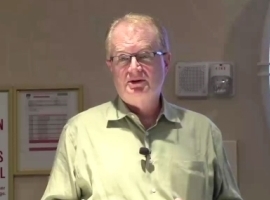 Brian Branagan explains how to decrease dissatisfaction with “not being heard” by changing the way of listening, supported by latest discoveries in the neuroscience of listening. 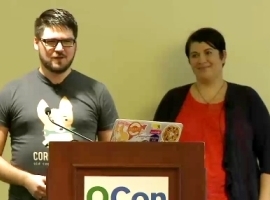 Scott Ford and Andrea Goulet discuss how communication and code are inextricably linked and share their top five tips with the audience so one can immediately improve communication. Debbie Madden discusses a five step plan to improve communication on a team, and to create a team that people want to be a part of, providing an actionable plan to work on. 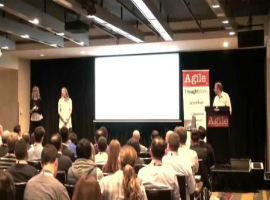 Rhiannon Gaskell, Brett Wakeman, Rikki-Lee Vrankovich discuss how a hackathon sparked the change at Carsales AUS, followed by a number of initiatives that brought organizational agility.